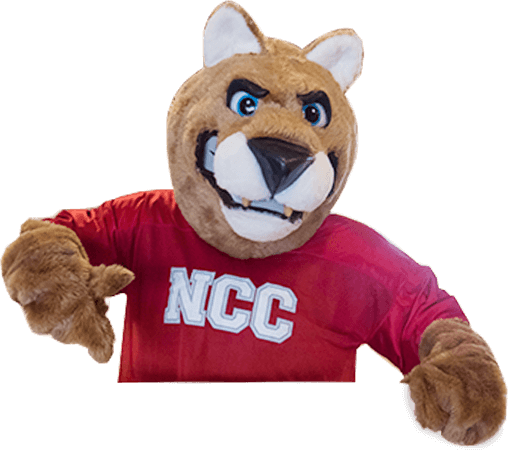 You can complete your first two years of college at NCC, earn your Associate of Arts degree, then transfer to a four-year institution. A transfer program is a smart and economical way to earn a bachelor’s degree. This A.A. degree usually completes the general education requirements at the public four-year institution. Without a completed AA degree, courses will be evaluated on a course-by-course basis. It is critical to see NCC’s Transfer Advisor during your first semester at NCC to ensure a smooth transition. NCC has transfer agreements with many four-year colleges and universities. Iowa State University and the University of Iowa both have signed seamless transfer agreements with NCC. There are many degrees now available through this agreement. You will have an advisor for both NCC and ISU or U of I to make your transition as easy as possible. Briar Cliff University, Sioux City. This program allows students to earn a four-year degree with minimal travel from NCC Campus. Business Administration, Human Resources Management, Accounting, and an online RN to BSN program are some of the programs offered. Northwestern College, Orange City. 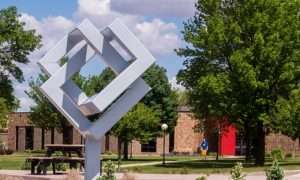 This program allows students in designated two-year Associate of Arts (A.A.) degree programs at NCC to continue their education at Northwestern College to earn a Bachelor of Arts (B.A.) degree in Elementary Education, Business Administration, or the RN to BSN program. University of Northern Iowa, Cedar Falls. Through the Admissions Partnership Program, NCC students who plan to pursue bachelor’s degrees at UNI will receive special benefits to help pave the way for academic success at both schools. Buena Vista University, Storm Lake. This program offers online and on-campus degree completion programs in Accounting, Bachelor of Applied Studies, Business Administration, Business Economics, Criminology and Criminal Justice, Health Services Leadership, Human Services, Finance and Banking, Management, Marketing, Organizational Leadership, Psychology, Wellness Management, and Public Administration. Bellevue University, Bellevue, NE. This program makes it possible for students to complete their Bachelor’s Degree through Bellevue University the year after they complete their Associate’s two-year degree either online or on-campus. Other schools NCC students transfer to include South Dakota State University, Morningside College, University of South Dakota, and many more. Start planning early to ensure a smooth transfer from NCC to your four-year institution. Meet with your Transfer Advisor to discuss your interests and goals. This advisor helps you identify four-year institutions that fit your needs. Spend time researching various colleges, and select a few to visit. Visit with college representatives at NCC’s Fall Career Day. Once you choose a college to transfer to, contact their Admissions Office to request transfer information, catalogs, and application materials. Ask your chosen college about transfer requirements, applications deadlines, housing information and financial aid. Review your program at NCC with your advisor to determine what courses meet the requirements of the transfer college’s program. Plan your schedule each semester according to which courses will transfer. Complete your A.A. degree at NCC. Complete application materials, housing contracts, scholarship applications, and financial aid materials before the deadlines! Early applications allow time to solve problems. Send your NCC transcripts to the transfer college before their deadline. Attend the Orientation Program at the transfer college designated for transfer students. This will make you aware of the resources available to you and how to register for classes. Request a final transcript to be sent to both your transfer college and yourself after receiving your NCC degree. TransferInIowa.org – Iowa’s Regent universities and community colleges have joined to create this Web site dedicated to seamless transfer. Our intent is simple – to create a one-stop resource to help you plan for your future. College Net – Allows students to explore colleges, careers, and scholarship information. Peterson’s Guide – Another source of finding out college information. Students will need to complete the free registration before using. Our staff will help you transfer credits from another college to NCC. Contact our Student Services Office to request transfer information, a catalog, and application materials. Have your previous college’s transcripts sent to NCC for review. It is also necessary to send your high school transcript, which is needed for the application process. Complete all application materials, housing contracts, scholarship applications and financial information.